Shortridge's use of textual sources is very weak; it's like he's trying to do cultural studies, but he didn't get the memo that the discipline already exists. His habit of anthropomorphizing the Middle West ("the region did X") is also a little bizarre. 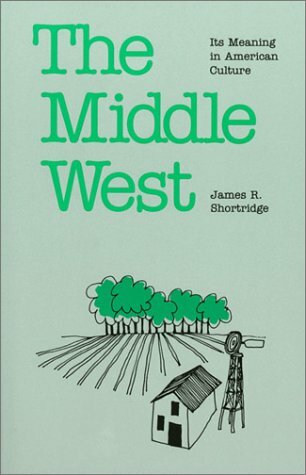 That said: Chapter 5, which has maps of the Midwest as drawn by college kids in different parts of the country, is admittedly cool, and the bibliography is worth scavenging. Gave up on this one. Perhaps the most interesting chapters were the ones i skipped ... those with all the maps and demographics. I couldn't in good conscience hold on to it any longer and i was embroiled in several other much more intriguing titles, so i had to give it back to the friend who kindly lent it to me after an energetic lunchtime conversation about The Concept we take for granted around here (Detroit/Michigan), namely The Midwest. A cultural geographer’s account of the changing and present images and understandings of the Midwest. A short, interesting book that’s fairly easy to read.